Nice house with two floors in a beautiful setting. Good-running restaurant with living space. This house can be accessed in two ways, the current operation can easily be omitted! The restaurant Tasca El Castillo has long been known by hikers, residents and locals as a popular port of call and one of the highlights in the north of the island. The wild and romantic landscape, far away from the noise of civilization, makes a dinner with a view of nature and the sun setting over the Atlantic a true experience. Perfect if you do not want to live alone, but also want to earn an income on our beautiful island. And at the same time want to enjoy enriching the holidays of relaxed and happy guests, then you will find a new home in El Castillo. The combination of a beautiful location in the middle of nature and the friendliness of the inhabitants is only rarely found on earth. Despite the fact that the opening times are currently very short, the restaurant offers a long-term existence. We offer a thriving business and an object with plenty of space to unite or expand this with your own ideas. You will be spared the difficult road to build your own existence. 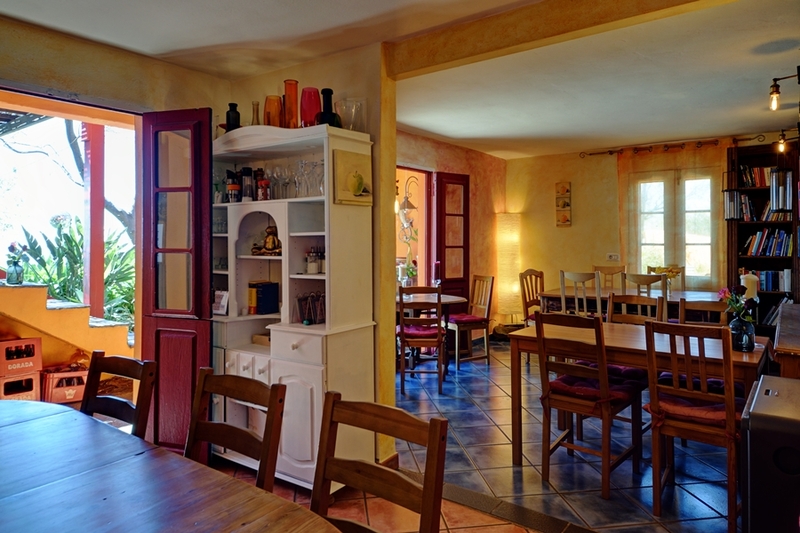 The restaurant is located on the ground floor and consists of two guest rooms (with open connection), a kitchen and two guest toilets. The interior, for 20 people, is pleasantly light during the day through the various windows and glass doors. There is a wood-burning stove for a few colder days in winter. The outdoor area consists of several landscaped terraces that can receive a total of 30 more guests. The space on the 2nd floor consists of a living room, a bedroom, a balcony and a small bathroom. 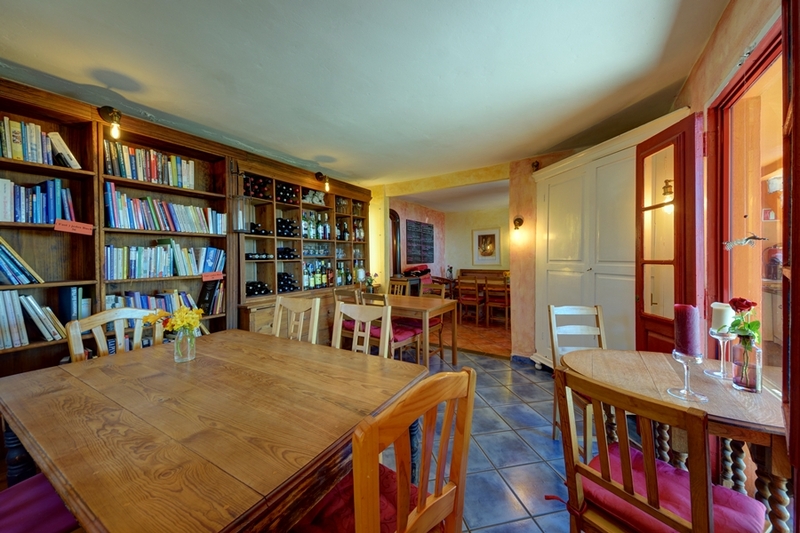 The house can be reached via a narrow but well-paved road and private parking spaces are available. Very little traffic during the day, almost no night at night. There´s also a cave on one of the lower situated terraces! The house was built around 1980 and renovated in the year 2000. 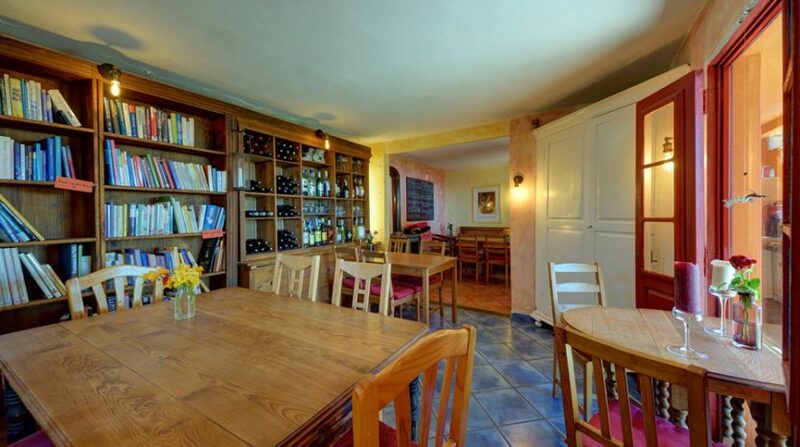 Since then it has been lovingly and stylishly extended, decorated and maintained by the owners. Of course the house is connected to the public electricity, water and telephone network and has the internet and satellite television. Internet is available via DSL (cable) as well as 4G reception. 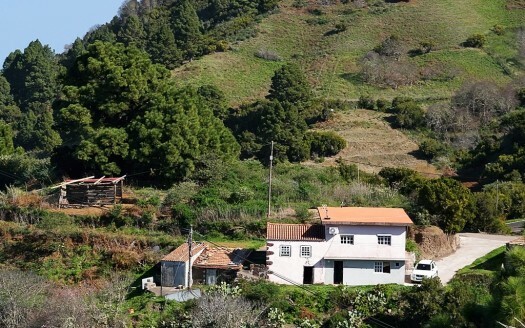 While most of the country, especially in the north of the island, is protected by nature to ensure the beauty of the island, the entire property (1883㎡) is registered as a so-called “Zona Urbana”. This offers enormous advantages when it comes to, among other things, applying for building permits, business licenses to realize your change or extension requests. 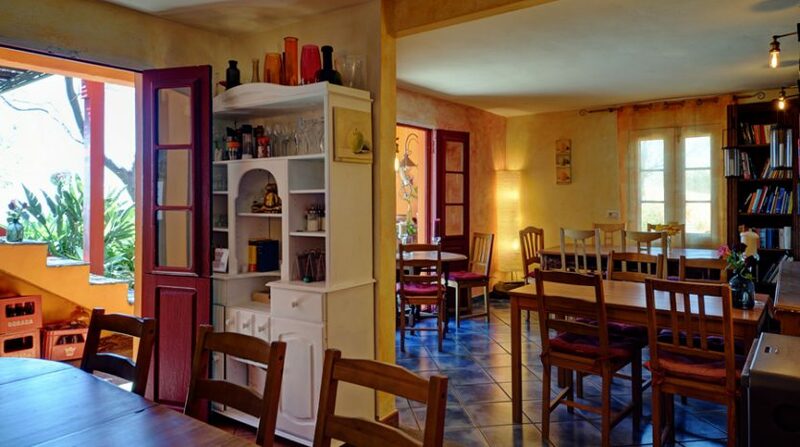 An idea, you can also choose to use the entire house for residence, it is not necessary to operate the restaurant further! A lovingly maintained garden and many species of flowers, plants and trees adorn the grounds. Included are orange, lemon, lime, medlar and many almond trees with delicious organic fruit. Experience the wonders of nature up close. Breathtaking sunsets in the direct view of the terraces. Every night when the sky is clear, you can see the stars and our galaxy as well as almost anywhere else. It is not far from one of the two main observatories around the world. Option to buy two holiday homes! Finally, we want to highlight that there is a possibility to buy two holiday homes next to it. This is only possible if one package together with the house. The current owners rent these two houses successfully and you can possibly take over all this.